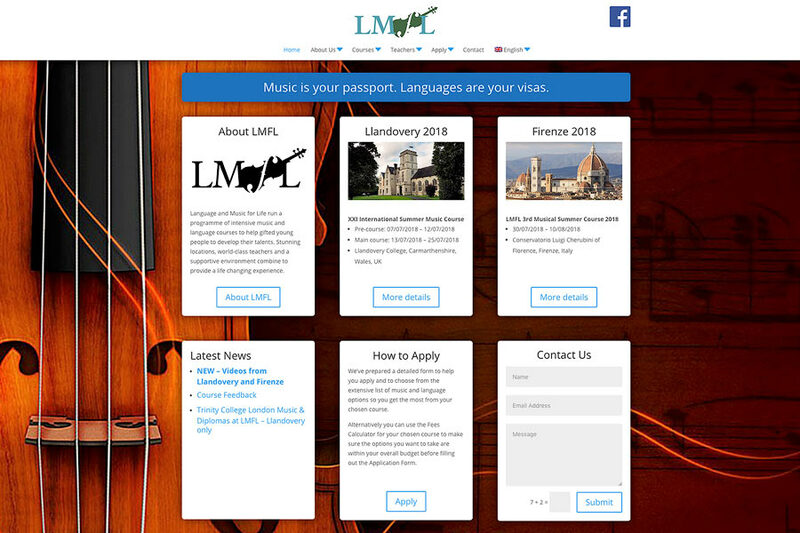 A website for LMFL – Language and Music for Life, a non-profit organisation which arranges music and language summer schools for young people in the UK and Europe. The site offers content in a choice of eight languages – English, French, German, Italian, Portugese, Spanish, Russian and Chinese. The courses on offer allow students to choose from many different options – so the online booking forms are a great way to help the users make the choices from the range on offer.